City Farming. 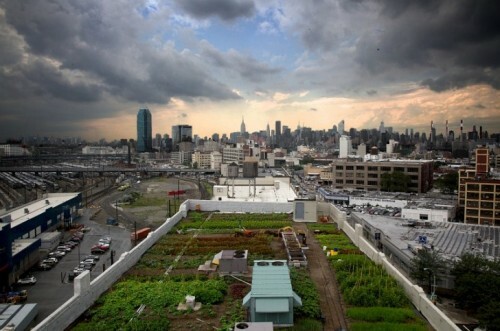 Last week, the New York City Council amended the city’s building code to allow for rooftop farming and greenhouses: now, rooftop greenhouses will not be considered an additional story. The bill also requires prisons to purchase locally grown food and calls for the city to maintain a record of spaces suitable for farming, Inhabitat said. Mobile Equity. The Leadership Conference on Civil and Human Rights argued in a recent report titled “Where We Need to Go: A Civil Rights Roadmap for Transportation Equity” that mobility must be a civil right. Recent studies indicate that low-income areas and the elderly lack adequate access to mass transportation, particularly in rural areas. With abut 80% of federal transportation funding marked for highways, mass transit is under-funded reported Wired. Home Slim Home. While Japan is famous for its narrow residences, the world’s thinnest house will soon lie in Warsaw, Poland, says ArchDaily. Designed by Centrala, The Kennet House is 122 cm to 72 cm at is narrowest part and will serve as the residence and workplace for writer Etgar Keret. Perfect Pyramids. In a Wired post, a physics professor at Southeastern Louisiana University examined the construction of pyramids—how tall can pyramids be, and what is the best angle? Through mathematical formulas, he mused that 140 meters is the most efficient height.